There are lots of ways you can support the Cleveland APL! Check out all of the events happening in the community that will benefit all the homeless animals that the Cleveland APL cares for! Cat Yoga – Saturday, April 20, 2019 at 10:30 a.m.
For $15, participants can join the Cleveland APL for the “mewest” trend as we host Cat Yoga. Taking place in the shelter’s community room, participants can plan to be here for more than just yoga — because animals make really terrible fellow yoga students. A portion of the proceeds will be donated back to the Cleveland APL. Join The Cleveland Animals Bar Crawl on Saturday, April 27 around seven bars in Cleveland to raise money for the Cleveland APL. The shirts guarantee you admission to the crawl, access to shuttles & drink specials. Proceeds from all shirt sales go directly to the Cleveland APL! To buy your shirt, see: www.ClevelandAnimalsBarCrawl.com. Also on the website, find more details about the event, sponsor information & photos from last year. Now through October 16, for each new client that refers the Cleveland APL through his or her H&R Block Advisor, $20 will be donated to the organization. 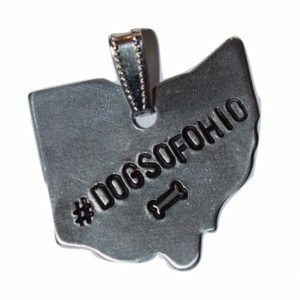 Looking for something that represents your love of Cleveland and your love of dogs? Visit www.doglifeincle.etsy.com for a fun way to support the Cleveland APL. Items in the shop will include accessories for dogs, dog lovers, and Cleveland lovers. A portion of their sales will go to the Cleveland APL. Are you interested in organizing a fund-raiser to benefit the Cleveland APL? View our Special Event Guidelines and fill out a Community Event Application!